There are dangers in attempting to fictionalise such a well-loved story as the life of Christ. First, the resulting account might offend. It might collapse into cliché. Or it might be filled with contemporary sensibilities, creating a world too familiar to our own. Though The Book of Rachael skirts each of these minefields, it is testament to the literary skills of Leslie Cannold that this debut novel avoids them. Cannold de-mystifies the life of ‘Joshua’ of Nazareth, taking known events and establishing plausible explanations for what’s miraculous and larger-than-life. She can’t, however, resist mythologizing the life of Joshua’s possible sister. 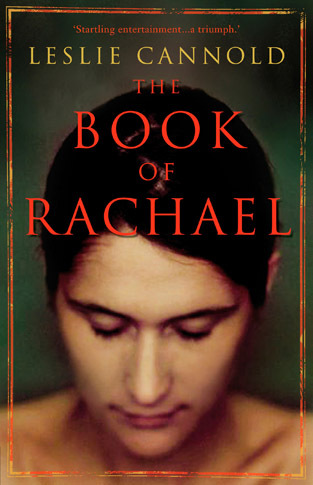 Rachael is a revolutionary in her own right: multi-talented, possessed of an eidetic memory, stark intelligence and determination but, as a female in a patriarchal society, consigned to an existence of drudgery. But her father Yosef and her brother Joshua cultivate her abilities. She is taught to read, learns the secrets of healing and, when she falls in love with Joshua’s closest friend Judah, her choice of husbands is supported. From here, the story travels the well-known chain of tragic events, but it’s told from a fresh perspective. Faced with Judah’s betrayal, Rachael’s proud spirit results in calamity but also leads to her ultimate salvation. A well-known ethicist and social activist, Cannold is perfectly at home with this material, deftly creating a rich fictional world in which her characters search for justice, love, and the way to forgiveness. A version of this review was published in The Courier-Mail in April 2011.